We all know that you can check your battery percentage on the home screen of your iOS device. If you are unable to see the battery percentage in status bar of your current iPhone or iPad. You can enable this option from the settings app—excluding iPhone X—Go to Settings, then select the Battery menu, where you can choose the option to view the battery in percentage or not. Though, you’re unable to check iPhone X battery percentage in your status screen. However you can check iPhone X battery percentage but not in your conventional way. But it is fairly an easy step to view the iPhone X battery percentage and therefore does not become a hassle for most of the users. So, in order to check the battery of your iPhone X in percentage format, follow the guide below. 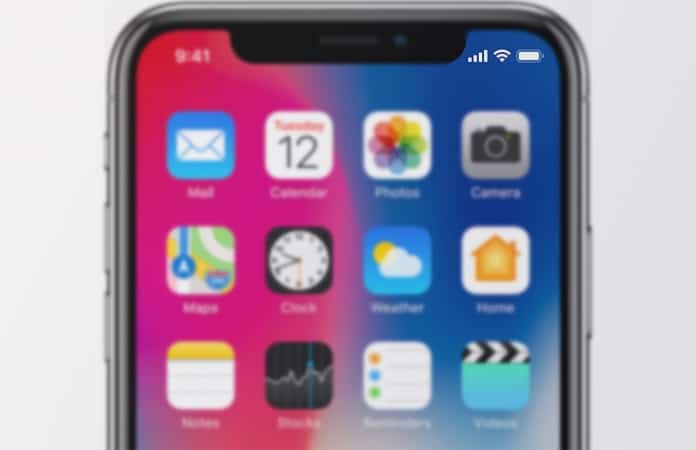 Step 1: Unlock your iPhone X and on the Home Screen you will see the battery icon on the upper right hand corner. Though no percentage will be displayed next to it. Step 2: Now, swipe down from where the battery icon is located. It will open up the Control Center. You might have notice the difference between how Control Center is accessed in iPhone X compared to the other iPhones. 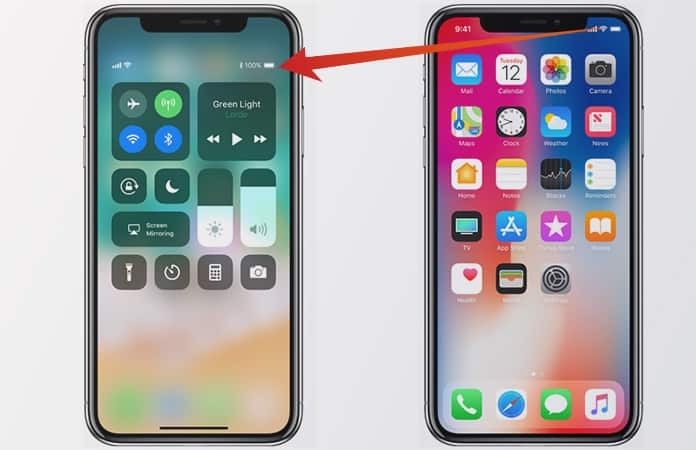 Where you usually swipe up from below to access the Control Center on your iOS device on iPhone X it is accessed by swiping down from the right side of the notch. Step 3: Check the battery icon again, at the upper-right hand corner of the Control Center. Here you will now notice beside the battery icon is the percentage value. Now whenever you will close the Control Center, the battery icon will revert back to its original position. And moreover, you will not be able to see the percentage value again. So, whenever you want to check iPhone X battery percentage do the aforementioned steps. Currently there are no updates on iPhone X that let us view the battery percentage on the Home Screen. Furthermore, you only need to perform one extra step to view the percentage, though it might not affect everyone. It can be a hassle for certain individuals who prefer to view the percentage value in the main screen of the iPhone X. One reason that comes forward that why Apple took such action and made it impossible to check iPhone X battery percentage on the Home Screen. Is that the introduction of the notch, as Apple’s attempt to make the iPhone X as much bezel-less as they needed, but also wanted space for their Camera and various sensors. So Apple built the notch into the iPhone X they had to compromise somewhere else, and the result was to remove the battery percentage display from the Home Screen. However, one might hope for an iPhone X jailbreak and with that have the option to customize their Home Screen to see as they fit. Let us know in the comments below will this minor change to the iPhone X UI will have an impact on your experience or it does not bother you? Previous articleIs It Possible To Track An iPhone By Serial Number?